Shelter, or adequate living standards, is a basic human right, together with others such as the right to education, and freedom from discrimination. 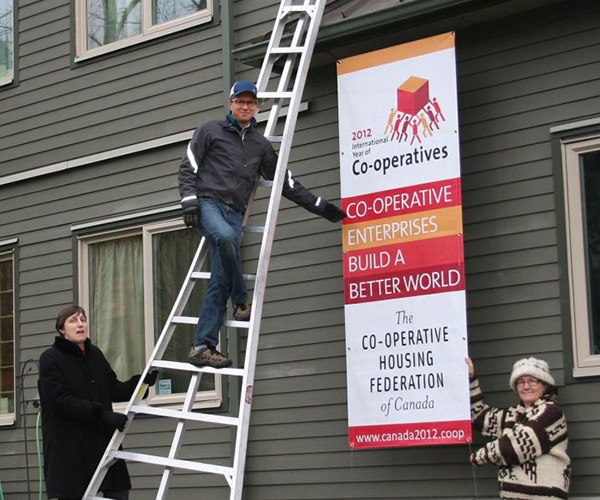 As we celebrate Co-op Week from October 15-21, we pay tribute to our friends at the Co-operative Housing Federation of Canada (CHF Canada), which supports its membership of more than 900 not-for-profit housing co-ops across the country. According to the Canadian Mortgage and Housing Corporation, a household is in “core housing need” if it does not meet standards of adequacy, affordability or suitability, and if the household would need to spend 30% or more of its before-tax income to find acceptable local housing. With more than three million Canadians currently in “core housing need”, housing co-ops provide a solution that addresses a real and pressing need in our communities. 30′ vinyl banner made for a housing co-op in Toronto. 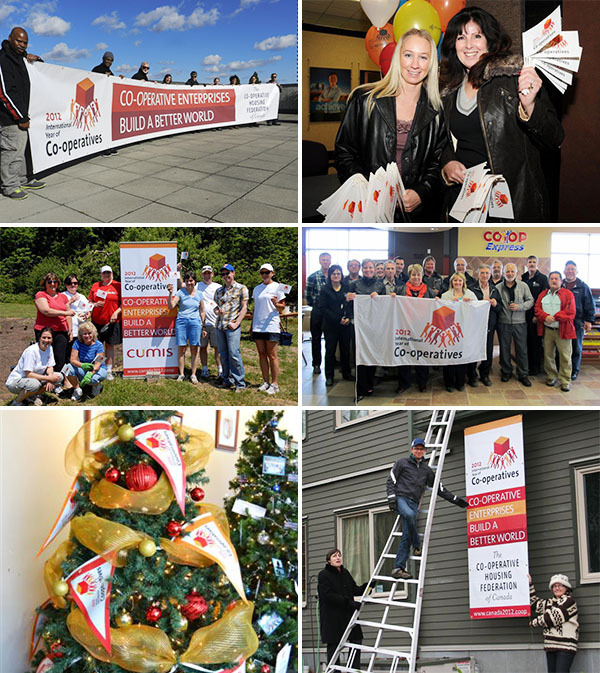 Over 150 housing co-ops installed banners to celebrate 2012 IYC. This banner was installed in Vancouver. 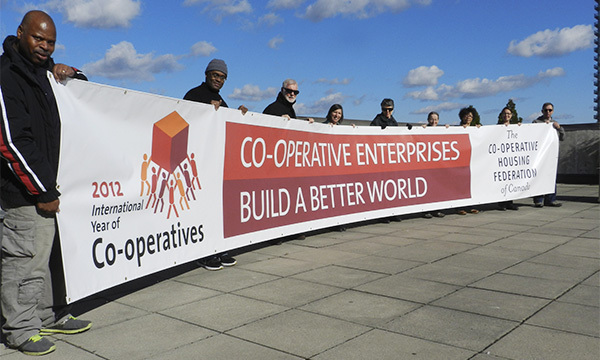 One of the unique aspects of the co-operative business model is that members are in control of their own co-op, on the basis of one member, one vote, giving life to co-op principles such as “Autonomy and Independence.” In the case of a housing co-op, this means there is no outside landlord imposing the rules. This allows co-ops to truly serve its own needs because the people who live in these co-ops govern themselves. 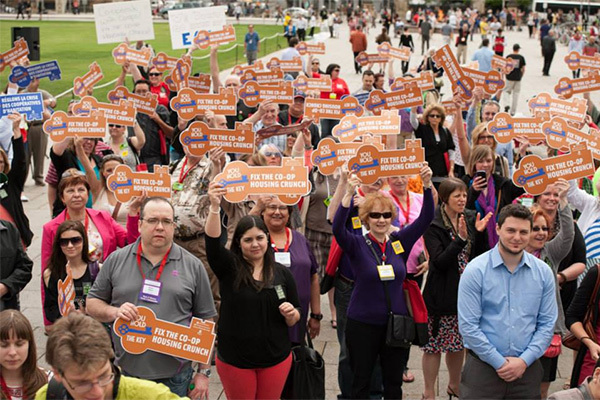 Fulfilling its mission to inspire, represent and serve its membership, CHF Canada is the national voice of the Canadian co-operative housing movement. More than 250,000 Canadians live in housing co-ops in every province and territory from coast to coast to coast. Housing co-ops, with the help of CHF Canada, make an enormous and commendable impact on meeting the basic human rights to adequate living standards. In different parts of the world, the co-op housing model takes on many forms. Here in Vancouver, the majority of housing co-ops are rentals established in the 1970s and ’80s under social housing programs, improving the well-being of people with lower to moderate incomes. 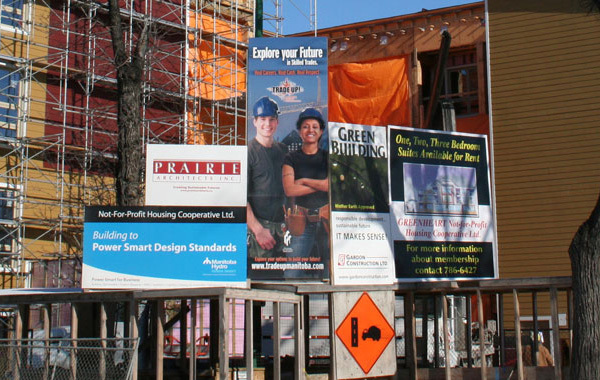 As housing co-ops continue to evolve, different types are emerging, such as equity housing. Equity housing co-ops involve the purchase of shares by the member, representing the value of the home. As we get closer to Co-op Week, we want to recognize CHF Canada for its part in addressing such an important need. Thank you for inspiring and empowering people to participate in influencing their own future through social and economic advancement, and for demonstrating just how much can be accomplished through co-operation. 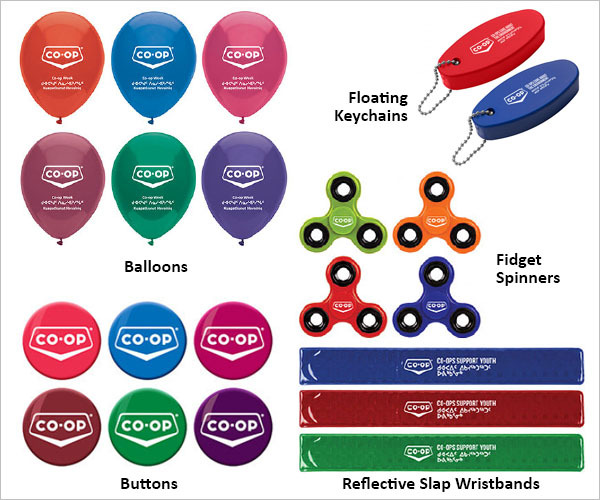 The Flag Shop is proud to be the source for official Co-operatives and Mutuals Canada and ICA Co-op Marque branded products! For more information about our co-op product line, please visit our co-op products website: thecoopstore.ca. To learn more about The Flag Shop and see our complete product line, please visit our main website: www.flagshop.com. We love Vancity! We’ve been working with this financial co-operative for over 30 years. 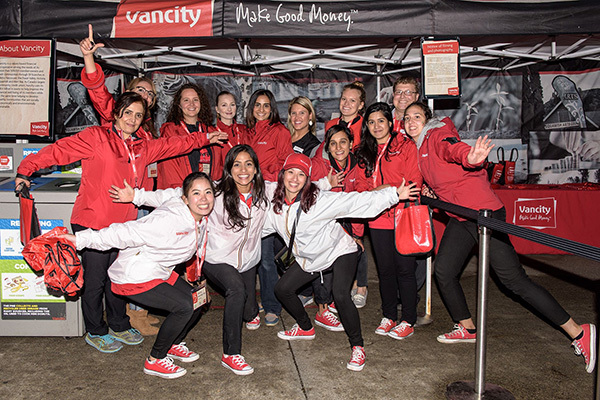 Our President, Susan Braverman, says her first memory of Vancity was at the age of eight. “I remember getting my first pay cheque for working at The Flag Shop, which was owned by my mother,” she recalls, “I walked five blocks to the Vancity on Broadway and Waterloo and opened an account all by myself!” No one could have known, all these years later, how special Vancity would continue to be to us. 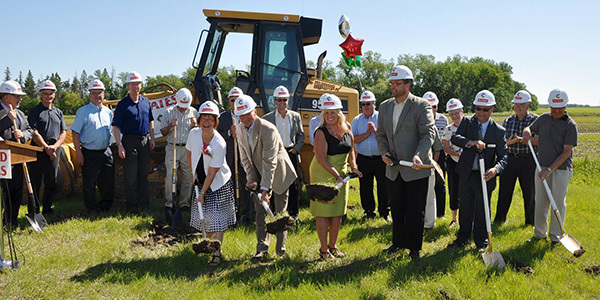 Since its founding in 1946, Vancouver City Savings Credit Union has been building healthy and sustainable communities. Serving more than 523,000 member-owners in the Coast Salish and Kwakwaka’wakw territories, home to Indigenous peoples of the Pacific Northwest, as well as 59 branches spanning Metro Vancouver, the Fraser Valley, Squamish, Victoria, and Alert Bay, Vancity is a values-driven financial co-operative. It’s guided by co-op values and principles, and exists for the benefit of its members and their communities. 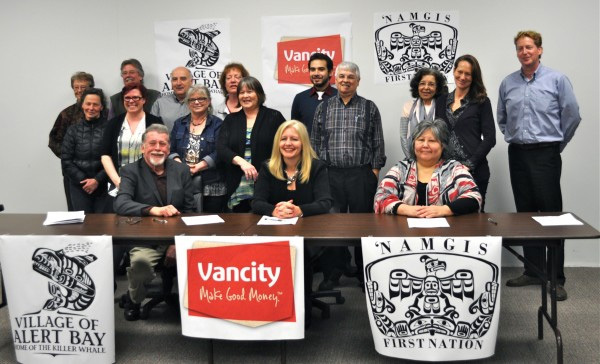 Michael Berry (Mayor of the Village of Alert Bay), Tamara Vrooman (President and CEO of Vancity Credit Union) and Debra Hanuse, (Chief Councillor of the ‘Namgis First Nation) signing a memorandum of understanding on February 26th 2015 in Alert Bay, BC. Image Source: ‘Namgis First Nations. 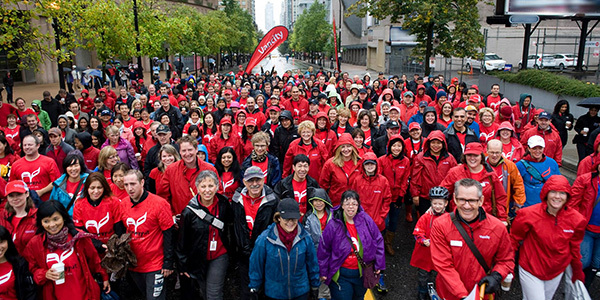 Vancity is a leader in meeting the financial needs of its members and is known for being the first among Canadian financial institutions to offer mortgages to women without requiring a male co-signer, the first to become carbon neutral, and the first to offer a socially responsible mutual fund. Providing financial services for people of all walks of life, Vancity is owned and democratically controlled by its members, on the basis of one member, one vote. Since the early 1980s, The Flag Shop has been supplying Vancity with items ranging from Canadian and provincial flags to corporate logo flags, Pride flags, and even the Canadian Native Flag. Based on the numerous projects we’ve worked on with them, we know whenever something is happening that helps our community, Vancity is right there in the thick of it. 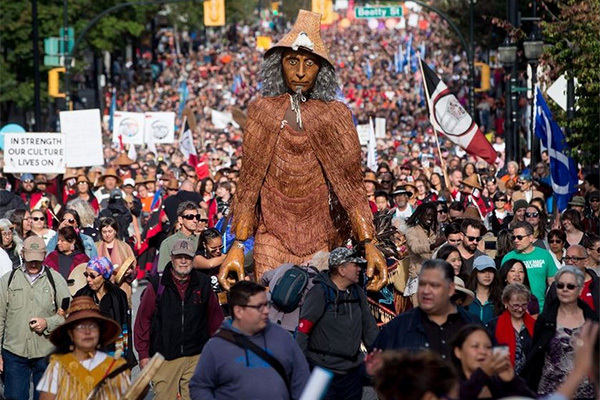 Modeling the co-op principle of “Concern for Community”, Vancity is the founding partner of Reconciliation Canada. Reconciliation Canada promotes important and much-needed change by strengthening relationships among Indigenous and non-Indigenous Canadians. The legacy of 150,000 Indigenous children who were separated from their families at very young ages, many of whom suffered emotional, physical and sexual abuse at Indian Residential Schools, tarnishes Canada’s history. The goal of Reconciliation Canada is to help Indigenous Peoples and all Canadians to reconcile, heal and forgive. That way, Canadians will redefine the future by building resilient communities together. 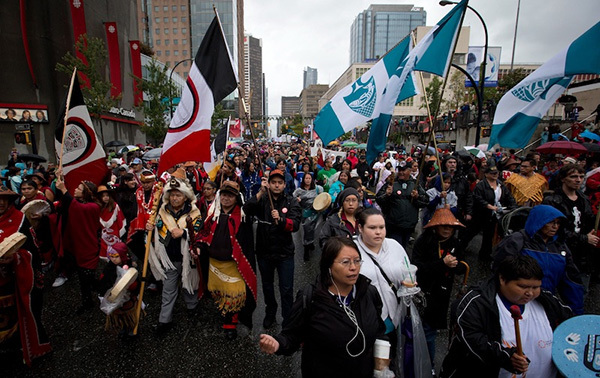 As part of its efforts, in 2013 Reconciliation Canada brought together Canadians in BC from all walks of life for the very first Walk for Reconciliation. 70,000 people took a united stand for social justice, inclusion, and a brighter future. Leading up to the first walk, we were so thrilled for the opportunity to work with one of our other long-time favourite customers, the City of Vancouver, to promote what would become an annual event. 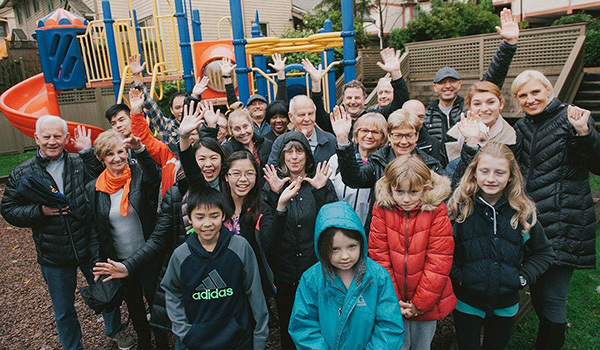 As we get closer to Co-op Week 2017, which runs from October 15 – 21, and continue our co-op blog series, we want to pay tribute to Vancity for its ongoing commitment to leading positive change, and for being an outstanding model of co-operation in business. Co-op Week is a national celebration of co-operatives and credit unions which takes place across Canada during the third week of October each year. 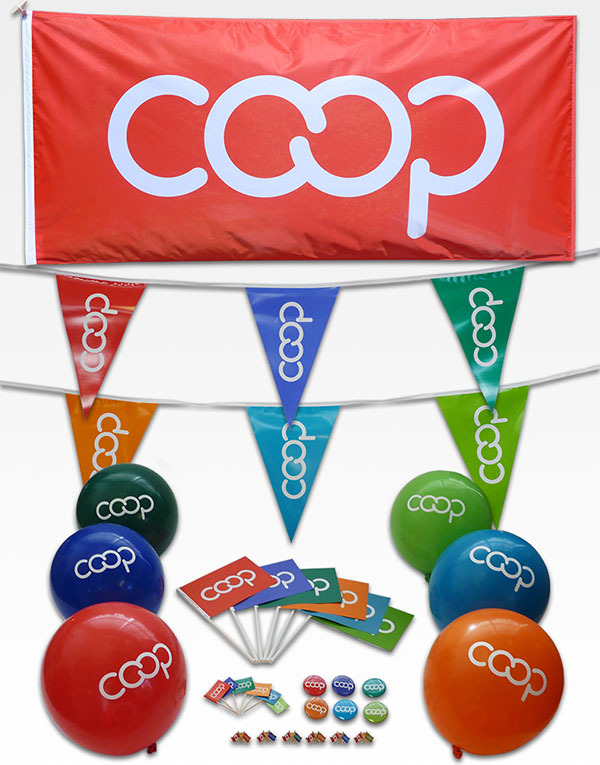 The Flag Shop has many friends in the co-op sector, a world which opened up to us in a very big way back in 2011. In the weeks leading up to Co-op Week 2017, we will be highlighting some of our co-op and credit union clients. 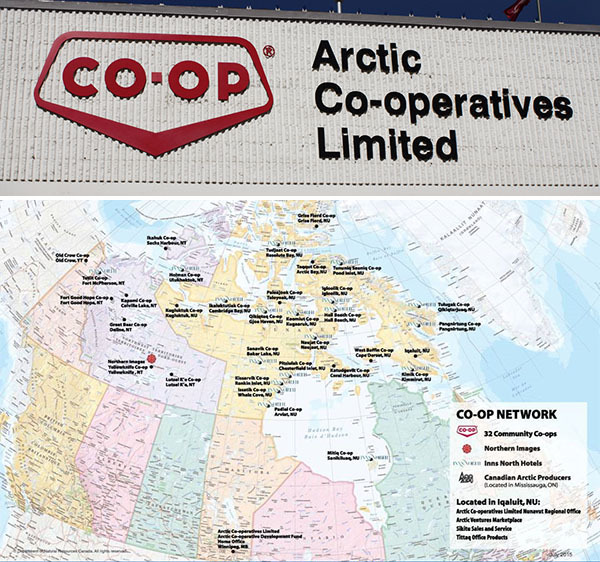 Through the CMC, The Flag Shop connected with co-ops and credit unions across Canada, including Arctic Co-operatives Limited (Arctic Co-ops). Arctic Co-ops is a co-operative service federation, which is owned and democratically controlled by 32 community-owned co-operative businesses across Nunavut, Northwest Territories and Yukon. The primary role of the federation is to co-ordinate the resources and combined purchasing power of these multi-purpose co-ops as they work together to provide essential services in their own communities. These services include retail grocery stores, hotels, fuel distribution, arts and crafts marketing, cable television, and property rentals. Co-op celebrations reaching Arctic communities throughout Nunavut, Northwest Territories, and Yukon. Co-operatives in Canada’s Arctic share a vision of people working together to improve their well-being. These co-ops put into practice their principles such as “Concern for Community”, “Member Economic Participation” and “Voluntary and Open Membership”, giving ordinary people a voice to be heard and a sense of belonging. In many cases, these co-ops are the heart and soul of the communities they serve. They put people before profit and reinvest in their communities. This is the power of the co-operative: members share everything including ownership, decision-making and profits. Thriving since 1959, even in the face of many obstacles, such as harsh weather conditions, isolation, and huge changes to their traditional ways of life, the Co-op System in the Arctic has endured, showing the remarkable spirit of the people who call the Arctic their home. Co-ops are about people who join together for social and economic advancement, to build communities, and to help themselves by helping each other. With all this in mind, is it any wonder at all that we would take such joy in helping co-ops in the Arctic celebrate Co-op Week for the past five years? As we gear up for Co-op Week, which is only a few weeks away, we wish the very best to Arctic Co-ops and to the 32 member co-ops who depend on you every day. These products are made by The Flag Shop for Arctic Co-ops to promote and celebrate Co-op Week, 2017. For more information about Co-op Week, please visit the Co-ops and Mutuals Canada website. 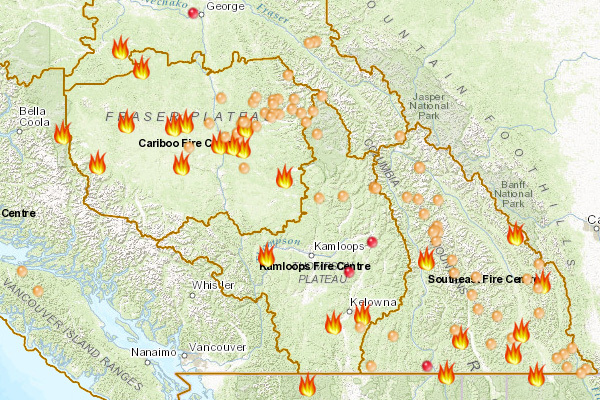 Communities across British Columbia have been devastated by wildfires for months and fires are still raging. As part of our efforts to recognize the International Days of Charity and Peace, as declared by the United Nations General Assembly, The Flag Shop wants to show that there is no limit to what we can accomplish together! 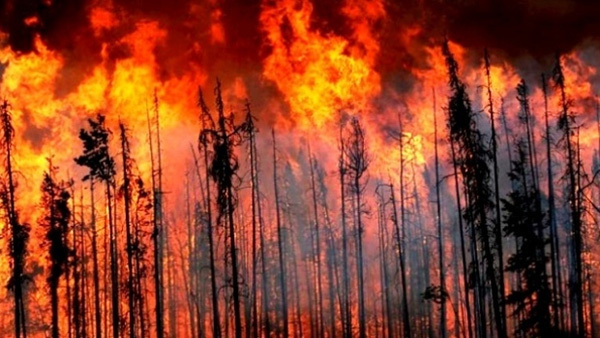 To bring relief and hope to those affected by the fires, The Flag Shop Vancouver is excited to announce that profits from the sale of all Canada 150 stock products and World Peace flag products will be donated to help BC communities impacted by wildfires. During the entire month of September, 100% of the profits from every item sold at our Vancouver store will be donated to Food Banks BC. This translates to the potential to reach over $50,000. To help those in need who have been impacted by the wildfires, we are thrilled to partner with Food Banks BC, which supports food banks across BC. The vision of Food Banks BC is to promote a hunger-free future through sustainable fundraising and partnerships. In 2016, Food Banks BC distributed more than 1.8 million pounds of food worth nearly 4.5 million dollars to its food banks. Through its BC Share program, community food banks receive more than $1 million of fresh produce and dairy products! With community support, Food Banks BC can better support its 100 food banks to wipe out chronic hunger in our local communities and provide lasting solutions to hunger. Save-On-Foods delivered a full truck of items to the food bank in Ashcroft to help evacuees of the BC Wildfire in July, 2017. Canadians are known around the globe as peacekeepers. We’re also known for our generosity, compassion and caring. Now more than ever, as we recognize Canada’s 150th birthday year, it’s a great time for us to show our true Canadian colours. When our neighbours are in crisis and need a hand, we step up and do our part. We have the privilege of living in the best country in the world and it’s the people of Canada who make this country great! For details and to make your mark today, please visit The Flag Shop Vancouver’s fundraising page. We’ll be keeping an ongoing tally, so make sure you check back to see the progress of the fundraising effort for yourself. This fundraising campaign is only at The Flag Shop Vancouver. This is our chance to be a part of something bigger – something that will create a lasting ripple effect of hope for those who need it now. Please join us as we change the world one flag at a time! You are currently browsing the The Flag Shop Blog blog archives for September, 2017.